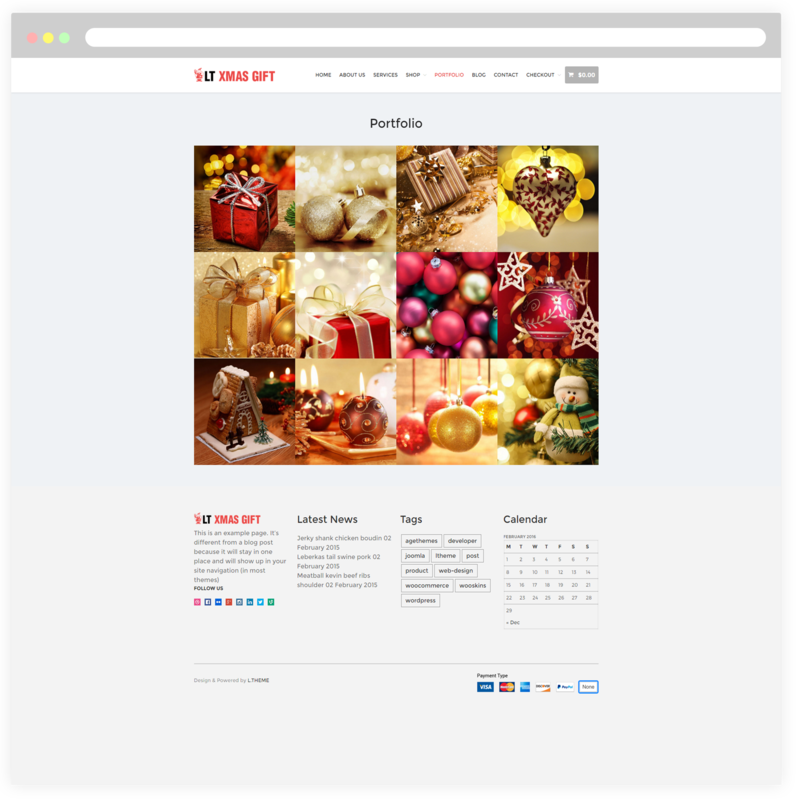 A beautiful design of WordPress Christmas theme for a meaningful holiday with full of lovely gifts and wishes! 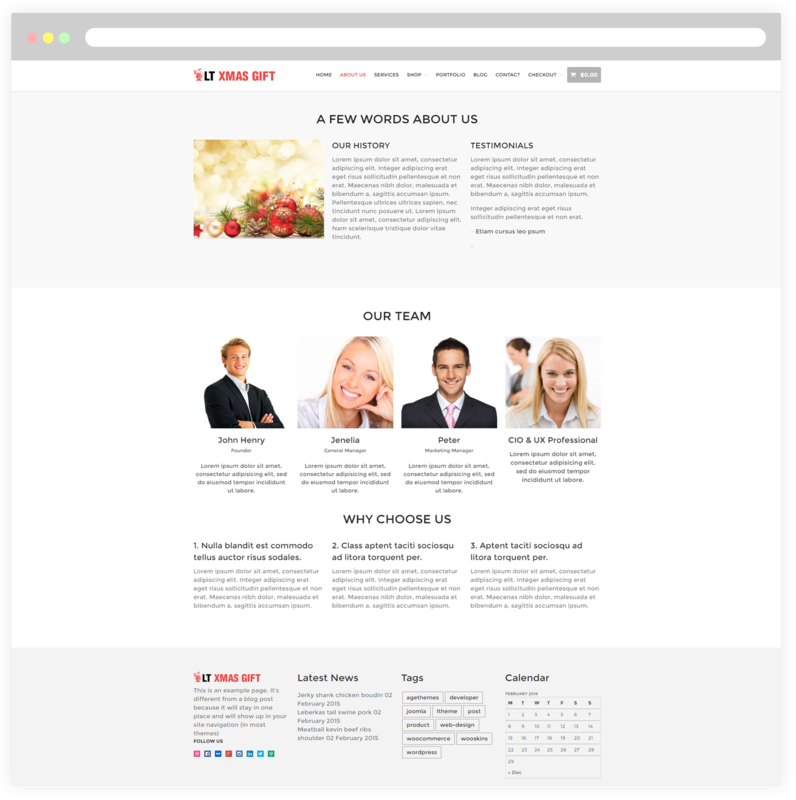 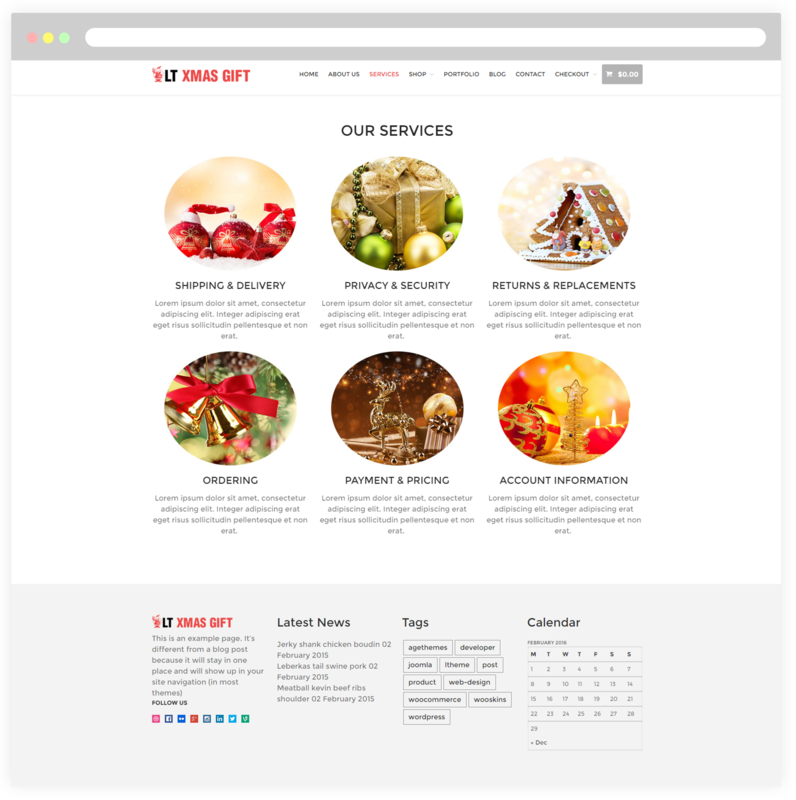 LT xMas Gift is a Responsive WordPress theme which is a special holiday purpose designs for xMas Store or Christmas Shop websites. 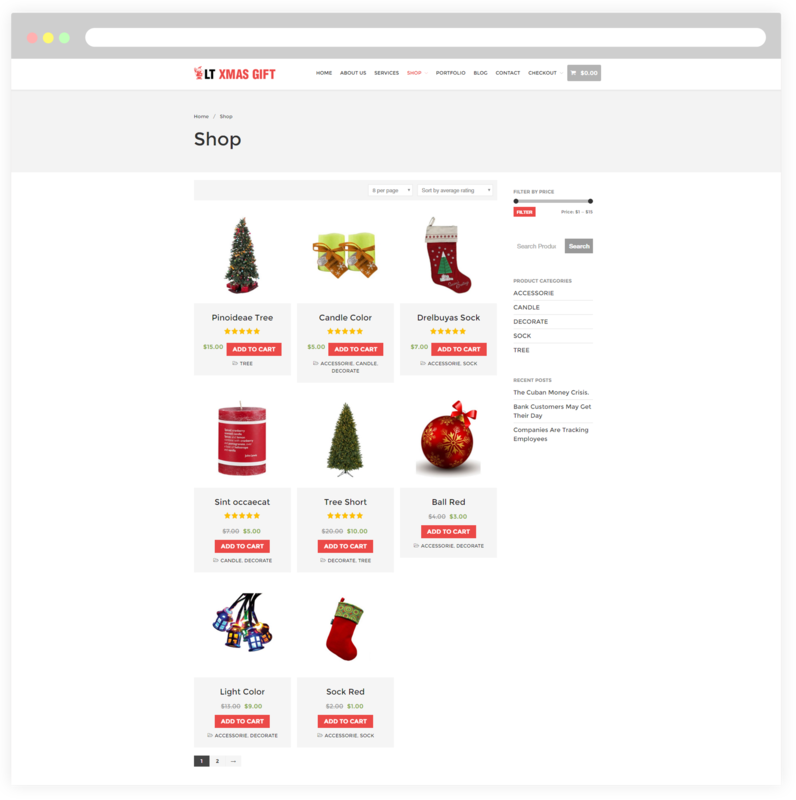 Actually, this theme can be used in all sorts of craft projects – including making your own Christmas cards, scrapbook layouts, fridge magnets, mobiles, bath foam shapes, Christmas tree decorations and much more. 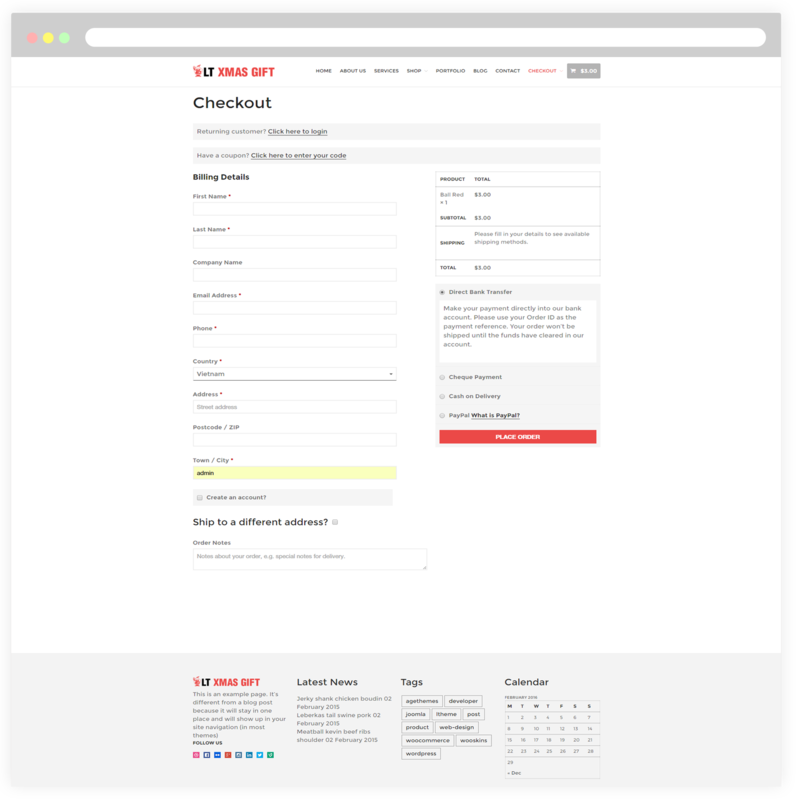 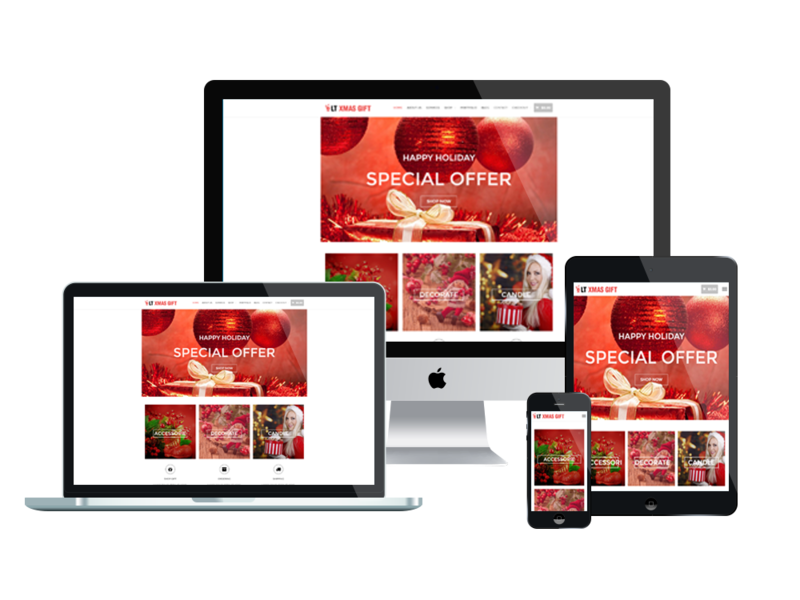 LT xMas Gift is extremely responsive that is compatible with any screen resolution of mobile devices, so that your site will be still beautiful on the eyes of mobile users. 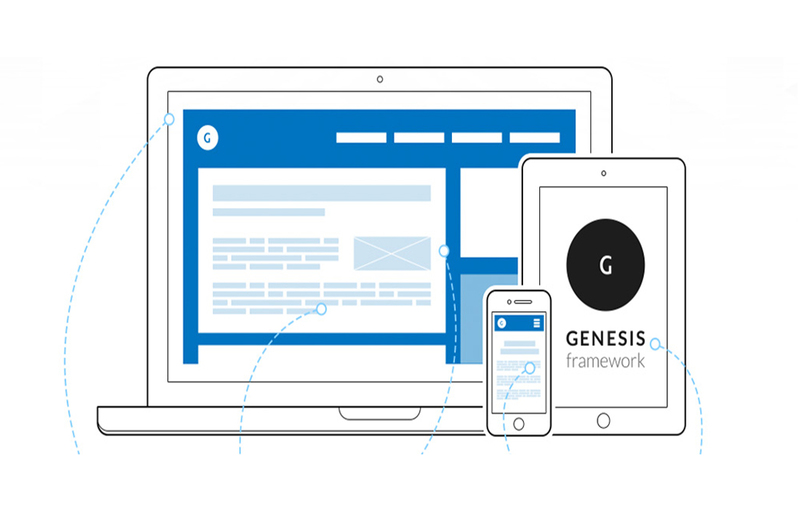 Developed with powerful framework with fully bootstrap supporting strong shortcodes, drag-drop layout content, Bootstrap CSS & Genesis framework, you will not have to worry about how your site runs, just smooth and flexible. 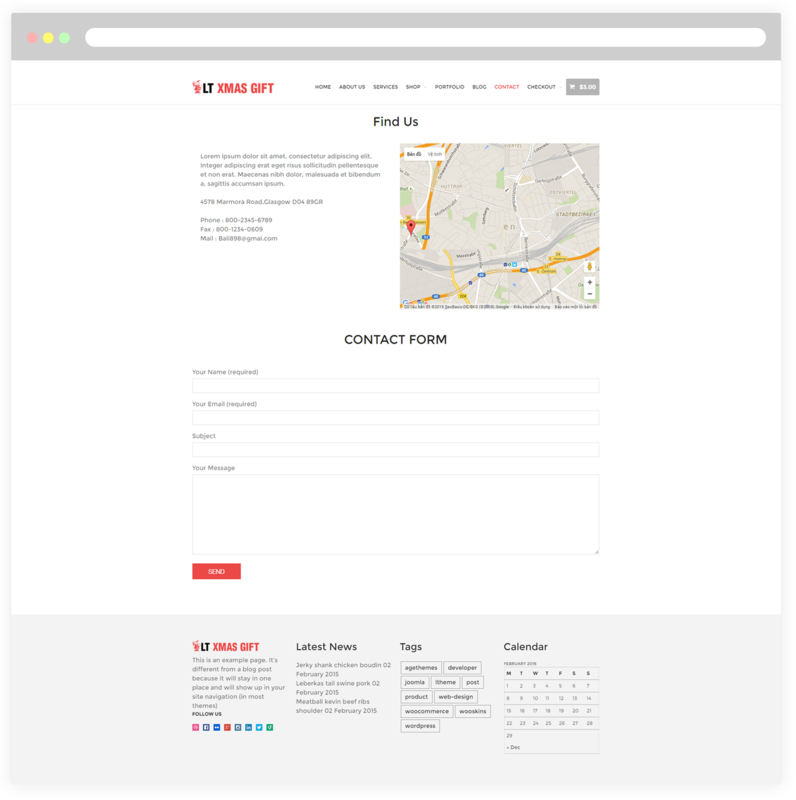 Beside, unlimited colors and color picker from admin panel are ready as well for a colorful website. 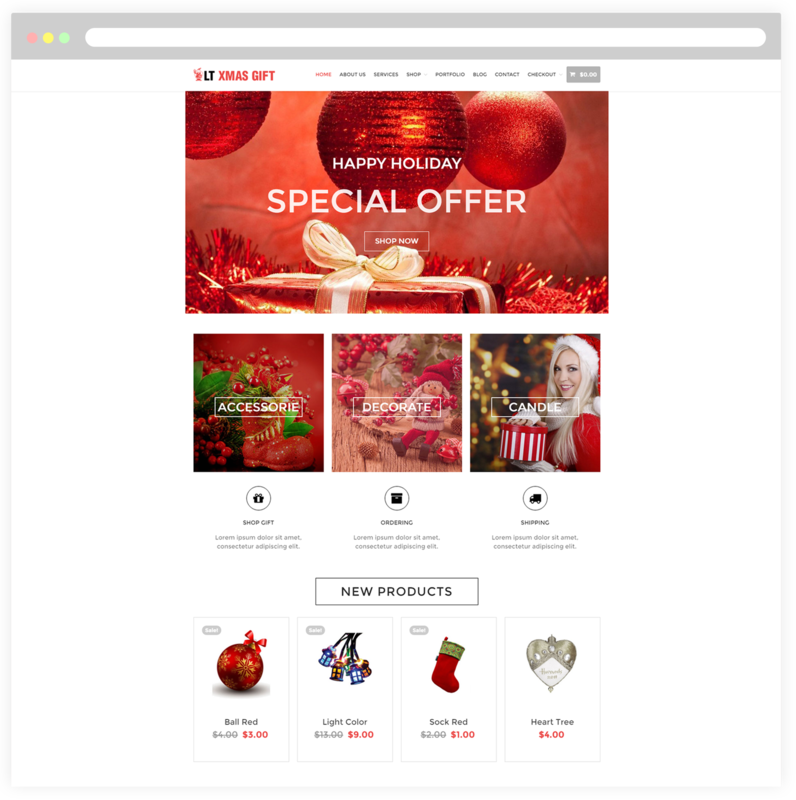 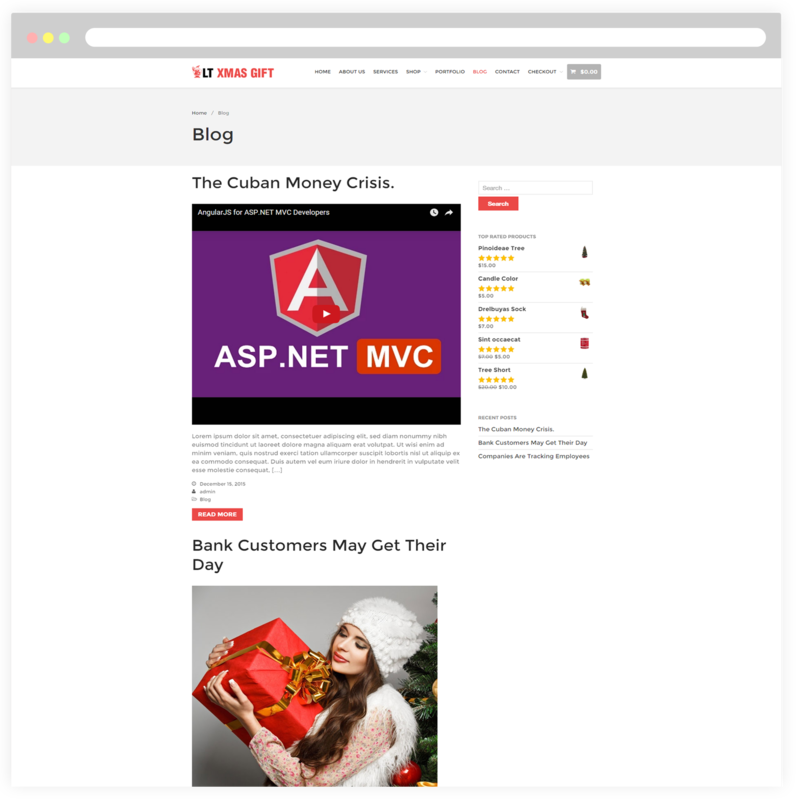 Let’s get a beautiful decoration for your store with WordPress Christmas theme!